When the household is unsettled, groceries are needing put away speedily, dinner made--when you need a distraction for your children rather than turning on the television, here's a trick that works. Announce it is "puzzle time". 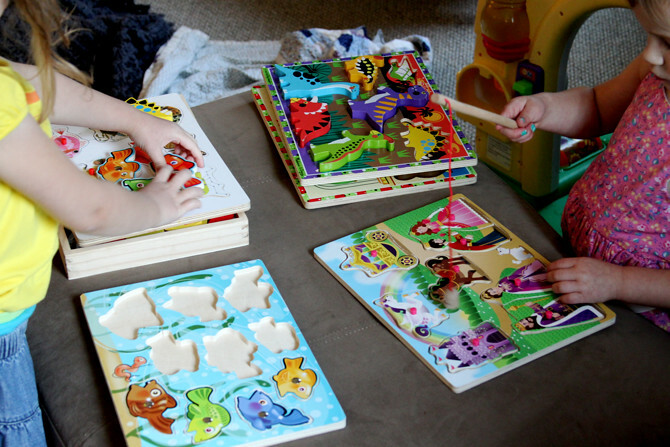 Have all of their puzzles at hand and stack them in piles, one pile per child. Say "Go!" and step back for some fast puzzle putting-to-together. 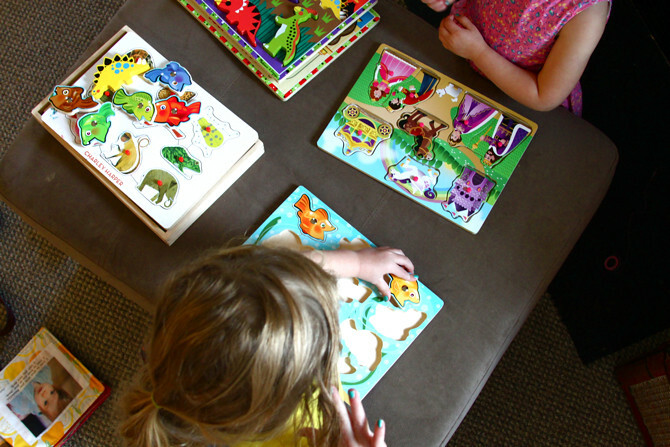 When they have finished doing each of the puzzles in their pile, they trade with a sibling. It always starts as a game to the finish but ends up occupying them while they talk, laugh, make up their own games, and begin playing with the individual pieces.